I use adobe campaign constantly at work. There truly is no software that compares. It has more features and options than I even know what to do with at times! I use it to create training tools that are aesthetically pleasing and functional and it never disappoints. Because there is sooo many tools, I find it difficult to learn it all. I often have to watch youtube tutorials to learn what every tool is for. I think the task bar could be a little simpler/more user friendly. Projects tend to take me a while to complete as I forget how to maneuver through the system. Watch all the training tutorials. We create campaigns that we can share for training purposes. I teach multiple classes a week and this enable me to have a visual platform. We make campaigns that we send to clients in emails so they can operate more efficiently. Since we are a very small company, we use it company-wide. The program definitely helped in running larger-scale marketing campaigns across multiple types of devices. Whether it was via e-mail, SMS on mobile, or the direct snail mail, we definitely were able to market directly to our fan base. The drag and drop feature is great! I most like the marketing automation tool. It’s a great tool when we send product/solutions related outbound emails to customers/prospects.Adobe allows us to keep track of everything very easily and allows us to go back and write notes at different steps. Including these notes at different steps within the campaign allows us to copy them over to new ones so we don't have the same issues launching the next campaign. The user interface can be difficult to grasp for marketers. Includes full integration for other Adobe marketing software. Plenty of features need heavy customization for optimal performance. Adobe Campaign tends to be a little more complex to use compared to other automation tools. This requires more training for individuals on our team. If you are running a large scale multi-device campaign, it would be perfect. If you are a small company with small goals, this product will be too much to handle. Content is customizable based on customer interactions and preferences. Campaigns can be sent through direct mail. Push notifications can be enabled on the mobile app which has been great for building up clients and business. We have been able to use Adobe for social media marketing. It helped drive awareness about our products, and it increased customer engagement. "A decent campaign software that looks simple on the surface"
The campaign functions that you're looking for are all present but a decent number of them are difficult to find and actually much less practical than you'd imagine. The software is frequently being improved upon and updated on Adobe's end. They are actively updating and adding new features but compared to competitors on the marketplace they're not offering anything significantly better. The reporting features are generally lacking and not enjoyable to use. I would recommend fixing that for future iterations of the platform. I have been running Ad campaigns on Adobes platform in order to take advantage of their DMP offering in addition to their DSP algorithms. Their software provides everything you could wish for in terms of integration and usage but not much is there beyond the surface. "I love all Adobe Products, and this one is just amazing too!" It felt familiar with the Adobe family of products I am used to. I love that adobe is easy to use. Anyone can pick up on this software very quickly and be able to do creative things with it. It is easy to use one of the best marketing tool . Its a global setup as you have the ease to access multiple customer profiles from a centralized place, and analyze your audience after a campaign is launched the performance of it after the campaign is launched is something that I really like about. In addition to the automation attributes. "Its a great tool but long way to be perfect for customers"
Its good for large organizations with target of more than 1 million subscribers as it takes a lot of efforts to implement it. Its best in class marketing automation tool and can be customised according to client's requirements. However, to implement and use it, professional skilled resources are required and its not best tool for business/marketing end users. Adobe Campaign is growing and going in right direction but it lacks major functionalities and features for business users. Its UI is very outdated and doesn't provide ease of content editing to end user. Client would need to depend on Adobe campaign resources for any execution. Adobe Campaign is a true development platform. For extremely custom solutions, it can be very powerful (provided the right hardware is chosen for on-premise solutions). The data model provides a lot of flexibility, which gives it a leg up on some of Campaign's direct competitors. There is very little out of the box functionality and suffers from under-development over time. As a result, functionality from a deployment standpoint is ~10 years behind market leaders (despite some upsides with data management). Campaign is very clunky and too often requires 10x as many clicks as similar tasks in other platforms. We have experienced far too many errors as a result of this. If evaluating for an on-prem solution, expect to increase hardware and system resources by 10-50%. If evaluating for a SAAS solution, evaluate against leading solutions in the marketplace via a formal POC process. If evaluating for professional services support, heavily consider alternate agencies. We are launching new home-grown marketing channels via custom integrations with Adobe Campaign, which was not feasible with other platforms' OOTB capabilities. It wasn't very appealingly for a marketing team - I was expecting a little more from their UI. Adobe Campaign is definitely headed in the right direction. I will say from my experience that the more you plan ahead with what you are wanting/expecting of this software the easier it is to integrate throughout your teams. We made the mistake of not setting up best practices and that bit us in the long run. Having those in place will also benefit your teams understanding of the software. It took a decent amount of training to full understand the capabilities so make sure you have that in mind before you start the integration process. We were using it to move a very large amount of emails and it was very slow and would sometimes crash - if you are looking to do things of that nature a different software may be better suited for you. However, if our looking to do simple blast to targeted customers/clients this would be a great solution. I really like the ability to plug and chug emails to our membership and retrieve previous emails. I use it for pastoral care and private information so that information is kept separate. Therefore my uploaded screen shot has been blanked out because of the clergy privacy we use within our office. I wish it synced better with my adobe cloud and google drive. It took me a little while to use to the different formatting. I wish it were more straight-forward. Do your research and make sure that it has the features you need. I find all of these kinds of programs have micro differences but depending on your goal, that can be a big deal. Its keeping my social media posts connected to my mass emailings. We have a separate program (constant contact) that is for our 'for public viewing'. Having a different company hosting our private information on a different space, gives us more privacy for our clergy concerns. "Amazing functionality for the technically skilled"
The new client UI looks great. Workflow functionality can handle any journey you can imagine. Out of the box channels (email, SMS, Direct Mail) gives you short deployment timeline. Another great thing is the flexibility of data modelling. You can easily customize your customer/prospect database from the UI. The UI even with the new style it's not yet appealing enough to marketers. Functionality for tracking delivery and responses need a lot of customization to make relevant data available. Integration with other Adobe Marketing Cloud apps is not quite "native" yet. Make sure you get the right skilled people involved in the implementation and BAU. We are deploying large multi-step campaigns across email, SMS and Direct Mail channels. Since we started to use one tool for all channels we are able to attribute the campaign ROI in a more precise manner. Also, the experience of the customer has improved due to message consistency across channels. "A system that SHOULD work well but doesn't"
The capability for deep segmentation and personalization. Additionally, once you understand the basics of how Adobe works, you can execute simple campaigns pretty easily. I also like visual format of how they display metrics. The data is presented in a way that is clean and easily digestable which is nice. The system is insanely buggy, customer service in the face of these bugs is horrible, and it is so fragile it crashes all the time. It is not at all user friendly, which is a shame because the system could be very powerful. The workflows error all the time and the error messages are not easily understandable, so it is hard to troubleshoot things on my own. Adobe customer support is horrible - there is very little training available online for new users, and the ticketing system is not very good for fast solutions. I wish there was a chat option or something of that nature for quicker turnarounds in getting the help that I need. If you need a super powerful system and have clean data, Adobe Campaign might be right for you. However, be aware that the system is NOT user friendly and you will dedicate a lot of time to educating users and troubleshooting problems, glitches and errors. We use Adobe Campaign for major batch campaigns and it is helpful for that. We are trying to become more sophisticated in our usage of the system, and hopefully will be able to solve more problems in the future. "Best Marketing Tool Out THERE!!" Adobe Campaign is the best marketing tool for your business whether you are a huge enterprise, small business owner or Entrepreneur. I've been using it for many years and I couldn't imagine using another program to help market my business. I give it 5 stars and refer it to anyone looking to help market and promote their business of any size. It is so helpful to you and your business and will have you and your business in every way possible. You will be so happy with this product and what it can do to help your business. I think it could have more features and it could be a little easier to use. More user friendly in the sense that you can change the options quickly and accurately and understand the process of the program in and out. Also they should be more ad ons and ways you can learn more about your business and what is working and not working of your business. We are trying to gain more eyes and ears on our business and the benefits of using Adobe Campaign is helping optimize our business to get our likeness to the masses. The benefits of using this program is you can utilize the assets of your business to help your business get out there to as many people as possible. You can find out what people are interested in and what works what doesn't work and use what is best for your company. "Great Program if you Have the Skill"
I like that you can really make the products your own. There is a tremendous amount of room for personalization within this program. Further, simple campaigns are easy to execute once you have a basic understanding of Adobe products. This system has quite a few bugs that need to be fixed before it can operate at full capacity. It crashes occasionally, which makes working difficult. Further, this system isn't super user friendly. Be sure that you know what you would like to do and how you want to go about it. This program is sensitive and hard to run. With this program, you can customize content based on what customers would prefer to see. Because this campaigns can be sent through direct mail, this has created convenience. Our company is ever-growing, but our actual sales & marketing team is quite small. This program makes it easier to run large marketing campaigns when it is basically just one person behind the wheel. Its not like many programs I've used in the past, so it can seem like a lot to handle for one or a few people at times. This is definitely a beneficial program for a really big campaign, with multiple users and most likely multiple devices. If you need something on a smaller scale, I would try another product. Campaigns can be done through direct mail, which takes a lot of the stress off of regular e-campaign methods. This product definitely helped us spread the word about our services and locations. I really liked all of the features of Adobe. I like that there are so many features that you can use. Adobe is a great program to use for all people with different experience levels. i think that it is a very simple and easy program to navigate. I wish there was a tutorial for new users. I would really like to see a tutorial for new Abobe uses. i feel like since there are so many cool and different features that Abobe offers, it would be really nice to see a tutorial so users did not miss out on any useful or unique feature. I would recommend using Adobe Campaign. It's a really simple interface that users can create a lot of different programs in. We are using Adobe to help create marketing tools for our clients. "Extremely powerful, usability has improved significantly over the last couple of years"
Great features, excellent advanced email delivery and tracking capabilities, all hosted platforms I have worked on have had over 97% availability. The managed services offered by Adobe is top of the line. The deliverability functionality provides an incredible amount of control with the ability to pass spam filters and ensure emails get delivered. There is also a deliverability team who are renowned experts in this field that can provide optimal configuration if required. Neolane was one of the first campaign management tool to provide mobile app integration with personalised push notifications. For the 'techies', there is also an unlimited amount of customisation that can be done. What I like the most is that there is an unlimited potential as to what could be achieved with this platform when it comes to Marketing Automation due to the sophisticated workflows, combined with Campaign and Delivery through multiple channels with email, mobile app, direct mail (with a printing partner), SMS (with a messaging partner), Interaction (inbound channel) and social marketing (synchronising contacts from your Facebook page). No other competitor offers such all round capabilities, although they do require the right level of expertise to fully utilise. Some have complained about the steep learning curve. However, this can be offset by a comprehensive implementation strategy. Bring in the right expertise and slowly build up internal capabilities with proper training of your own CRM, IT and Marketing teams. Previously with Neolane what was gained in advanced customisation capabilities, could have been lost in intuitiveness and usability. However, following the acquisition by Adobe, the platform has matured over the years. Businesses that now use the platform and properly and follow best practices have been able to thrive with their marketing. The usability also used to require improvements, but through the integration with other Adobe products such as AEM, content management can now also be handled with a breeze. Reporting might be the weakest link, however there are some good out of the box reports available. For more advanced reporting, businesses can always integrate the data (post campaign execution) with other tools. I have now implemented several of these solutions and happy to share my experiences. The best advice I can offer is that the more time that is spent on the planning, discovery phase and design, the smoother your implementation will be and the higher return on investment. It is crucial not to cut corners or reduce the size of the team required to cut costs. The right expertise is required from Adobe, their partners and your internal teams. Data SMEs should be made available for all your source systems to help with the implementation. Also plan for what should take place post-implementation and all your non-functional requirements. What is your marketing strategy? How will your content be personalized to become more relevant for your customers and prospects? How good is the quality of your data and where are improvements required? Most of the implementations that fail do so because they don't take their time to analyse and solve all these questions prior to implementing this tool. In addition training of your own internal users, it is also crucial to follow the best practices recommended by Adobe and avoid doing a lot of custom coding (which can be challenging to maintain in the future) unless it is really necessary. No need to reinvent the wheel. The business problems are prospects conversion, customer retention, reducing churn, automation of marketing campaigns and increasing customer loyalty. Benefits included but were not limited to, increased control of customer life cycle, reducing un-subscriptions by getting customers to go through a short survey, increased conversions by triggering marketing campaigns based on customer behaviour and very useful tracking capabilities of received emails through open and click-rates and much more. I like the new update with more modernized icons and buttons. Workflows are easy when only using one workflow. My email list is only a weekly newsletter. The email specialists use more advanced workflows and can help when necessary. I dislike that it this Adobe tool doesn't look like any of the other Adobe tools I use in the Adobe Marketing Cloud. Adobe Experience Manager, Search and Promote and others are similar to use. This tool doesn't have the Adobe "look". It can be slow. I hate that I can't use it on a Mac and that I have to sign in through a Windows remote desktop to access it. Too many steps. The customization options of the program, it allows me to transform any picture I want into something amazing.Adobe Campaign is a true development platform. For extremely custom solutions, it can be very powerful (provided the right hardware is chosen for on-premise solutions). The data model provides a lot of flexibility, which gives it a leg up on some of Campaign's direct competitors. It can be tricky at times, if the images are too large the program can lag here and there. There is so much great functionality, but there are some definite growing pains integrating with other Adobe products and external systems. So disappointing! I like how integrated this software is. There are so many different things you can do maximize your campaign and create custom content. Although there are a decent amount of templates, I still feel that it is slightly lacking in that department but I do believe they are working on it. I think this software is certainly one worth exploring! I am able to effectively communicate with my database and then track and analyze the success of these campaigns. Adobe campaign is best for large institutions who are wanting to get in touch with their consumers. It is used by the marketing team as a campaign management tool for CRM activities, automated and ad hoc marketing communication aimed at both leads and the existing customer base. Email is the premiere channel for communicating with the customers and this product makes it so easy. Adobe Campaign should be operationalized, architected and run by a central team. Proper user training and on boarding support is provided. This training can take some time but is definitely worth it so that your marketing team is using the product properly. I also hope that they remove the limitation of Windows-Only for running AC Client Console. Email Tagging, Delivery Tracking, Retry and Logging, Hot Clicks, Reporting on Delivery Statistics, Open rate, Click Rate, Custom Reports. The analytics are great with this product! "Worst Marketing Automation Product I've Used"
I can't think of any redeeming qualities. This is a horrible product. I have used many other MA tools on the market (such as Marketo, Pardot, etc. ), and this is the worst of them. Where do I start. The product is a nightmare. It is designed for developers, so in order to use it properly, you need to know scripting, coding and SQL. Other tools (such as Marketo) do not require these types of technical skills. The user interface is non-existent, the system is buggy and regularly craps out, and support is essentially non-existent. If you are evaluating MA tools, run away from Adobe Campaign as fast as you can. It's a nightmare, and Adobe is not investing in the tool. Run away as fast as you can. There are many other products that are better. Adobe discounts the price, but there is a reason it's cheaper. Marketing automation -- sending timely, targeted communications to customers and prospects. None. This tool is highly flexible to meet different needs for different types of users & different types of businesses. It has many features and capabilities that, quite frankly, not every business will use. Neolane is the solution for those who are looking for a complete email and automation solution that's able to also integrate social and mobile. During the selection process, it's key to know your own objectives and what you want from your system and which features are the most important to your business. The application Integrates easily with CRM, has large storage area and flexible storage capabilities and includes web tracking and automated workflows making automation simple. The analytic part is also useful and powerful as well but I still use other software to fill the gaps, it's not for everyone. Not everyone is using this platform. Remember that it's not for everyone if it doesn't fit your style or you find it difficult to use try to find another campaign program. "Everything you need in the Adobe Family"
I love all the adobe products. I like that you can seamlessly use them -- and this is no different, but you get even more with this. It is a great social marketing tool that allows you to get even closer to your client with ease. I loved how this program helps you design something that is great on all platforms, and looks so professional from the customer standpoint. Nothing. This is really a one-stop-shop. You can get everything you need, including a discount if you already use the adobe suite. If you want to get even closer to your customer and look great, I highly recommend using this. If you have Adobe for other things, this will just polish your marketing effort that much more. Unfortunately, now we have outsourced this to a local contractual company. They are great, as well, and cheaper. So I guess the price was the biggest problem. I can't talk about how much I like the Adobe Campaign and hope to switch back in the future. "It is a great product!" I feel like its usability. I sometimes struggle with computer technology and trying to get info out to customers. Adobe Campaign makes it so much easier. I appreciate the way it formats and allows me to tailor my to contacts who have specific interests and that kind of thing. I appreciate that it offers the ability to review what I've sent also. Knowing how my emails are being received and read is very helpful. Sometimes there is too much. I like all it offers, but there are times when I just want a simple way to reach out to folks in my network and this feels like I'm jumping through too many hoops, on occasion. I would say that is one of the only issues I have with it. More often than not, I was very pleased with it. The only reason I don't use it anymore is because of a job change. I recommend trying it. Not ALL users are going to find it helpful, but if your business caters to varied individuals in differing demographics, I would always encourage a trial at least. I have found it very helpful for that. As I mentioned in my first paragraph, the ability to create campaigns for specific groups is a fantastic business resource. This has helped us really reach people in a more personal way. Not only that, but the ability to send info in a more one-on-one way has also boosted our connections and business relationships. "Adobe makes campaigns easy and effective"
I like the ease of use of Adobe Campaign. Adobe makes the process of setting up and running a campaign across multiple different platforms very fast and easy. I also really like all of the tracking features. Analytics are extremely important in today's marketing world to know what is most effective. I like that we can also easily send and track email campaigns to large lists. This Adobe product is a great asset to the rest of the adobe products. I would highly recommend Adobe Campaign for all your email campaign and analytical tracking needs. While the software overall is easy to use, some of the set-up menu's can be confusing. It can be challenging to find the right tools as every campaign program works differently and we have used many over the years. It can be challenging to learn this program at first, but like any program with time it gets much easier. Setting up the specific email with the tools takes time to learn, but is effective. We use Adobe products for most of our design and marketing and this is another great adobe tool to have and use. We are able to send better campaigns out to customers and dealers through Adobe Campaign. We can customize the campaigns to suit our specific needs. The benefits of using Adobe Campaign are that they have great analytic tracking systems. We can make more effective campaigns through analyzing the data, making our marketing plans more effective as a whole. "Very Handy for critical documents. " I like the fact that Adobe Campaign is easy to work with. It is readily available to buy. I have used it at my workplace to make sure that some documents cannot be repeated/copied by other people. It was easy to send those documents through emails and interact with others without any problems. You can easily analyze what the customers in the company are receiving and sending. The reports are analyzed automatically by Adobe Campaign. I have to say that I don't dislike anything about it specifically, even overall I don't dislike anything. But if there is one thing that I can say is a little hard to deal with is, is to teach someone new at your company about how Adobe Campaign works. It contains a lot of information and so sometimes it can be hard for a newbie to understand how it really works. . The major issue that is being solved by Adobe Campaign is the fact that it saves plenty of time. You don't have to analyze each subject individually, Adobe Campaign does that for you. It works fast and is very convenient. I truly like the editing skills that come with Adobe - you can turn any document into whatever is needed! It is very easy to use and you're able to make a very quick campaign that is very appealing to an audience (especially in the business world today). Nothing significantly that I don't like - the only benefit that would make it even better is if it was a more user friendly platform. There are many options and sometimes, hard to find. Having a search that would run through all options would be very very beneficial. The biggest recommendation to someone considering Adobe Campaign is that the more you research and truly learn the program, the more you will be able to get out of it - the higher your ROI is for your investment in Adobe. There are many things that Adobe makes easier for all parties, those need to be found. I highly recommend taking or having your team take a session on it to get to know the product at its best. We build everything through our Adobe. From proposals to simple brochures. We also are very driven to make power points and interactive PDF's through adobe. The business world today is very driven by eye appeal and any adobe program will be able to help generate what is needed to get the business done, just like it has for my current employer and former. The over all campaign orchestration using Adobe Campaign is the best thing I like about this tool. The campaign flowchart creation process is not as intuitive as some of the other tools like IBM UNICA. Adobe Marketing Suite / Adobe Campaign is one of the market leaders in terms of quality of the product, functionality and cost. As the SI, we implement Adobe Campaign for customers. "Ok - Not Good Though"
Campaign was a decent tool when we used it.It was great to have the entire campaign originate and be stored in the Cloud. Extensive challenges with setup and training new folks in its use and how to pull results. VERY frustrating at times! VERY carefully compare your needs with what Campaign can provide. Also, consider double time in training new users. Integration of data from multiple campaigns easily compared. "Adobe Campaign offers great experience"
Adobe Campaign is straight forward and easy to use for all end users. what I do not like about the Adobe Campaign product is the price tag associated with all of the Adobe products. Adobe campaign is easy to use and helps with all tracking purposes of many different sides of the business. Benefits of the program like I said earlier are ease of use. The program makes it easy to launch a campaign or new initiative and follow allow with the data tracking. I like the fact that adobe campaign helps me to monitor my campaigns all in once place. its pretty easy to use and understand. The multilingual factor makes it very desirable. Use it. Its easy to use and meets very difficult standards. For us however it was not for us. We currently use mailchimp and are very happy with it. Less time designing campaigns and remembering to send them out. Benefits were that our campaigns were sent out on time. "Adobe Campaign- Easy to Use"
The interface is very user-friendly, and I love how helpful the software is. There's on time delivery, effective implementation of use cases, good support from Adobe, and there's a good relationship between vendor and systems integrator. The user interface can be difficult to grasp for marketers, it needs to include full integration for other Adobe marketing software and plenty of features need heavy customization for optimal performance. Adobe Campaign allows me to efficiently define audience targets, pull data from my data warehouse to make targeting definition and create lists for direct mail and/or create/deploy emails. I would recommend it! I've been able to solve a lot of problems I experience working in marketing. I've benefitted by reducing stress and increased efficiency of workflow within my sector. "Pricey but intuitive marketing & data analytics tool"
The interface of Adobe Products and Adobe Campaign in general make it easy to pick up on the software for data analytics tools. I don’t like the monthly subscription route that Adobe makes you take, instead of the one-time fee they used to offer. If you aren’t bothered by the monthly subscription model, this will help you track your advertisements and emails efficiently. Tracking your marketing data is a breeze with Adobe Campaign. It makes it easy to see trends and patterns for your company and allows you to create better marketing plans. 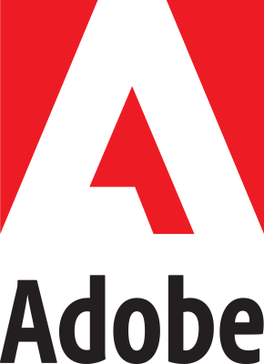 Provide brief answers or links to where you can find detailed information in the Adobe Campaign documentation that creates an account with the same rights. "Solid Program to Learn the Ropes of CRM Management"
Honestly, my favorite feature that Adobe Campaign has to offer is that it offers incredible real time results on all CRM campaigns. We didn't feel that the program focused enough on social media marketing. Also, the data is rather overwhelming if you don't know what you are looking for. We have moved from Adobe Campaign over to Hootsuite, mainly due their focus in social media management and how we can post across multiple social media sites at once. The biggest problem that we were able to solve is to be able to appropriately monitor our campaigns. The program offers us exactly what we needed, even though we have now moved to just social media marketing. "Highly effective platform for "
Incredible automation capabilities with very intuitive workflows. The level of customization is unlimited and it allows the user to really build the program to work with them. The product does require advanced understanding to properly use it well, but once the application is mastered the abilities of are achievable are incredible. SMS and Social Marketing tools are incredible, as is their automation abilities. The learning curve is pretty involved for groups of people. It requires pretty involved group teaching to bring some up to speed on its abilities. Right when I need this application not to crash, it has. I believe this is fairly common with adobe products honestly, but it does not detract from how powerful Adobe Campaign is. I just wish it was not something that had to be dealt with. Don't be overwhelmed by the possible learning curve. Once the learning curve is broken through the benefits far outweigh how difficult the software is to learn. It becomes intuitive once you know the basic process and approach that Campaign takes. What you can leverage for your company becomes unlimited, and much easier. Automation of marketing campaigns is really incredible. Id say that is the greatest benefit thus far. "Unparralled to other software in the graphic space." The software is very user friendly and even beginners can pick it up quickly. Integrating marketing campaigns is made a breeze with this tool. If I was paying for this personally, the cost is something that I would have trouble with. But the value it brings to the table, is something you would have to weigh as well. Great tool for users of all different skill levels. Integrating marketing campaigns. Mainly personalizing cross-channel campaigns that way there is no confusion internally. "The best PDF file reader"
It delivers best in class campaign which is instinctive and has touch-friendly marketing automation across all channels that are digital and traditional. Adobe Campaign addresses a key challenge for marketers which are how to build and lengthen relationships with their customer base to drive top-line revenue growth and return on investment. They can get very expensive in the long run especially when you're subscribed to their services. Increase in business and revenue performance, optimize resources and efforts, integrate customer’s profile, and is flexible with their deployment. The range of services provided to meet needs. It is a great service that is applicable to many firms. I am a huge fan of Adobe and love all of the features it offers and different softwares you can use. The advanced email delivery is the top of the top and ensures email deliver and allows to pass through spam. Learning how to use these softwares and features was a bit hard, but after a bit of time I understood it. I think increasing customer loyalty is important and making the software easy to learn would be helpful as well. I like how easily accessible the program is. It's compatible with all computers and/or systems - at least from what I've used. I don't like how often the updates come. I feel as though every time I go to use a window pops up asking to upgrade. I use it for a lot of marketing campaigns and decks at my current job. As previously stated, it's very compatible so when I go from place to place with a current project - I can easily access it. "Adobe Campaign: Overall a Great Program"
The email tool is a fantastic. Creating customized emails for customers is extremely easy. That's just one area of the customization. The customization is all up to the user. The great part is that the user gets to see the coding behind the customization. Workflows are easy to make and help simplify processes. This program can be very hard for new users to learn. It can be very frustrating when learning the program because it can take a long time. Especially if the user isn't tech savvy. If you have never used a program like this, you need to make sure you have someone to help you learn how to use it. The program can be tough to learn, especially for those who are less tech savvy. Make sure you have employees who can learn technology quickly and be there to help. I was often helping other coworkers with problems they were having. We have used the program for customizing emails to go out to customers and potential customers. Creating workflows for presentations also works well. 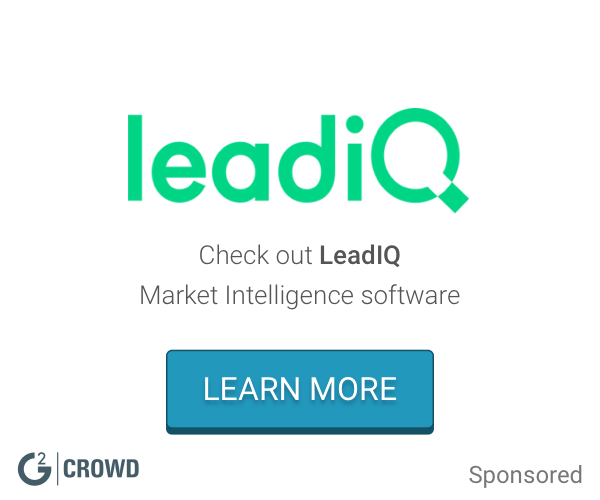 It can also be used to connect with your company's CRM to help organize qualified leads. The drag and drop aspects of the user interface make it fairly straightforward to create complicated audience segments with ease. The ability to complete almost all tasks related to getting a campaign sent without having to jump around through different areas of the application is nice; setting up content, defining an audience, testing and scheduling/sending can all be done in one place. Workflows are a powerful way to handle automation tasks. The use of personalization rules to display dynamic elements within emails is not as intuitive as in some other ESP platforms for less experienced users. Out of the box reporting is not the greatest. Overall there are still some rough edges with the usability of the UI. More advanced features require a greater level of technical knowledge than some business users possess or have time to learn. Consolidation of disparate methods used for sending emails. Creating a relatively simple way for non-technical users to be able to execute their own email campaigns. "Necessary program -- sometimes overly complicated." What I like best is the name and the branding...you know with Adobe you are getting uniform, accepted software. I know I will have great customer service and I know if something fails there will be a resolution. Adobe tends to over complicate some of the products unnecessarily. Obviously I will continue with the service, because of the branding, but I will utter nastiness under my breath while I cruise the internet trying to find sound solutions. Be patient. Once you figure it out you will feel like you have conquered the world. But patience is key. Creating concise, consistent campaigns across multiple channels. The best part? It works amongst all devices and browsers quite simply. The system really does a lot. There are many features that a lot of other businesses do not use. It is pretty easy to use and provides much storage . Nothing massive. There is sometimes too much. Sometimes less is more and I feel like it gives you so much to figure out and look at that you don't really need. Make sure you do the trial run first. You have to put the time into learning the system and figuring out what works the best for you. It saves so much time in the long run! It does the hard stuff for you. Being able to create campaigns to is a fantastic business tool as well. I love that I can customize anything and create powerful campaigns absolutely anywhere for any type of reason or occasion. I love being able to view the cross-channel performance whenever I want and gauge it's success. It requires a little more knowledge of technical design and detail than most of me or my staff was used to and could be a little tough at sometimes. If you have slight issues with using tech software than make sure to be patient and don't expect this to be CRM replacement. The ease of marketing automation and better email campaigns was solved with Adobe and it really was a great tool to use in the office. "Adobe Campaign Gets the Job Done"
I have used adobe in previous job roles and have found it to be a great system that offers a lot. The cross-channel campaign management is some of the best I've used. It truly simplifies marketing automation. I would say evaluate the size of your business and understand your specific needs. This program offers a lot but it may be too much for a smaller sized operation. Solved a lot of email marketing campaign issues that we previously had without any cross channel campaign management software previously to deal with. "Build sophisticated, relevant and timely Customer Journeys"
If you can dream it, you can execute it. I love that you can basically achieve anything with these tools. There is no lack of features from the tool set. There also many ways of achieving a desired result. Scalability is also something else I love. This product can support all of our campaigns with the ability to scale and grow with our ever-changing and demanding needs. The lack of error reporting. Visibility into stalled or failed campaigns is not ideal. We have over 150 automated campaigns we run daily and can't look into each one on a daily basis. We have come up with customized work-arouds to help us but wish the product itself could handle this better out of the box. Real time access to our data and a scalable solution to add new data when applicable. We also needed to centralize our marketing and transactional messaging into one platform so we can leverage the data for both channels. Lastly we needed sophisticated tools that could support personalization, dynamic content, automation with an aggressive testing platform. We've achieved all this & more with Adobe Campaign. We have successfully built over 150 highly targeted & relevant campaigns based on using behavioral data which has increased engagement metrics and ROI. I like how easy it is to correspond to people via messaging. Its reliable and my users always seem to get the responses fast and quick in order to give me a response back. Adobe has been a great product for me for many years and I will continue to buy their products. I dont like how much the product cost because of the free products out there. Emailing between interfaces. Very simplified. "It's not if you can do it, it's how"
The reason we selected Adobe Campaign was mainly for the ability to build a more advanced relational database back end then our former solution allowed. When faced with a business problem, I like to say it's not if we can do it in Adobe Campaign, it's how. If you have the right skill set, Adobe Campaign is full of functionality. If our organization didn't have a consulting group, we wouldn't be able to perform a lot of the functionality on our own. It is not as intuitive as other marketing products and not as user-friendly to non-technical users. When evaluating, test specific use cases to make sure you are fully able to perform them with ease in Adobe Campaign. We do a lot of email personalization and complex workflows to perform transactional email confirmations and database growth initiatives. We use PURL sites on an annual basis to renew customers. * We monitor all Adobe Campaign reviews to prevent fraudulent reviews and keep review quality high. We do not post reviews by company employees or direct competitors. Validated reviews require the user to submit a screenshot of the product containing their user ID, in order to verify a user is an actual user of the product. Hi there! Are you looking to implement a solution like Adobe Campaign?